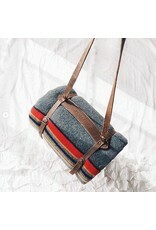 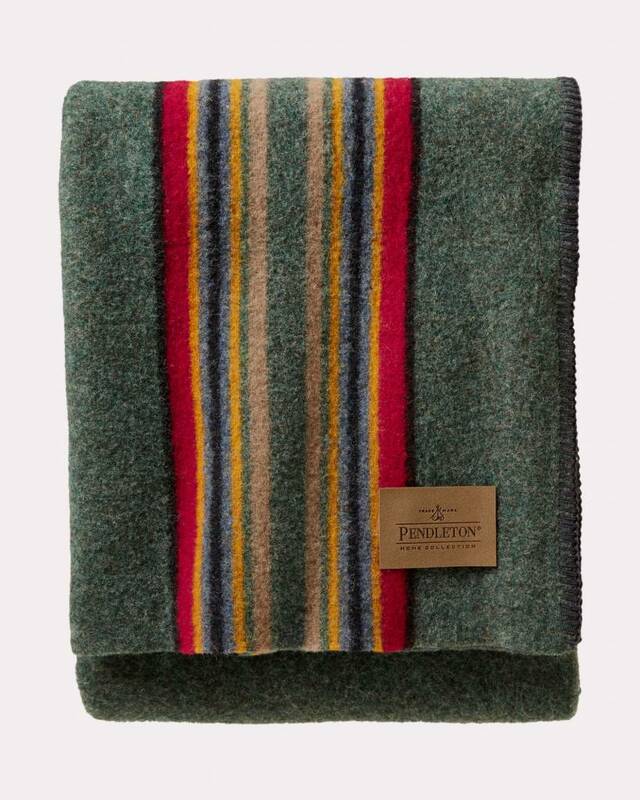 Made-in-America wool camp throw that’s one of Pendleton's most popular. 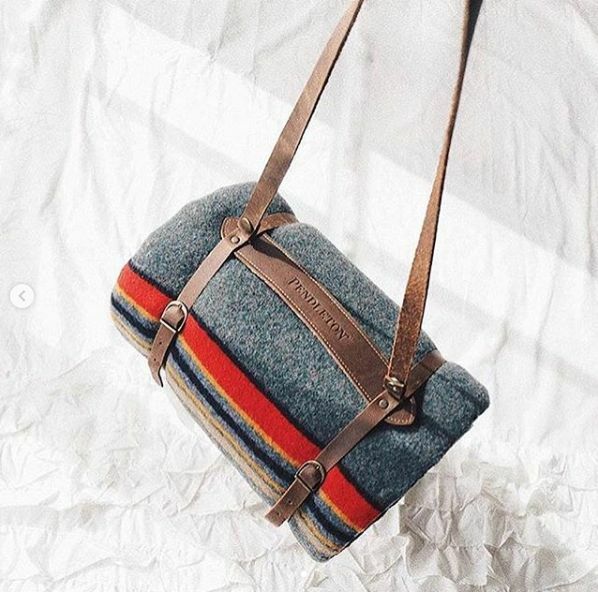 Camp blankets were originally used by shepherds to brave the elements of the Pacific Northwest—right where our rugged wool versions are still woven today. 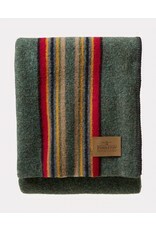 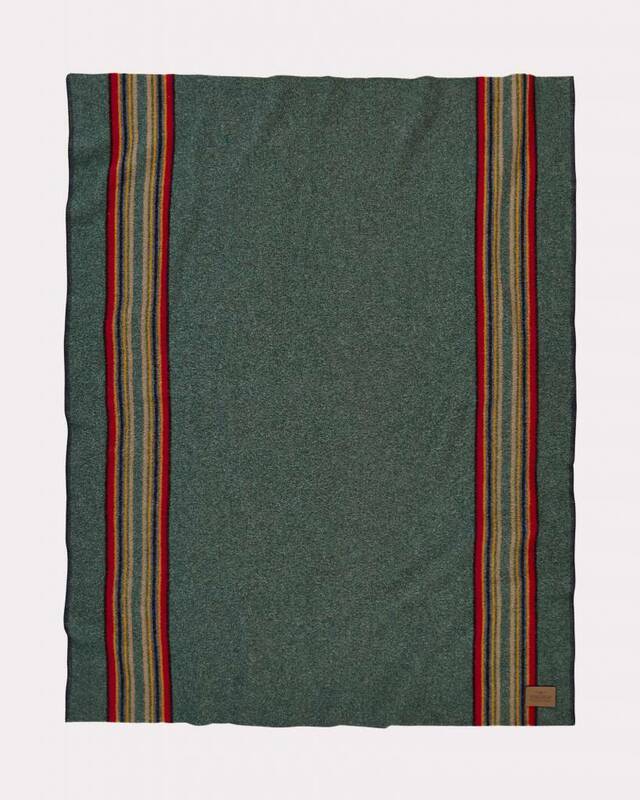 These smaller sized blankets make a great gift for outdoor enthusiasts. 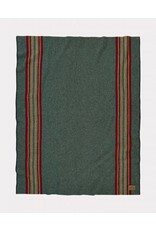 Stripes run vertically.